About two weeks ago Marcia and I visited Ma’Aleh Adumim with friends who live there. The city has “twice won the national prize for environmental quality and features 275 acres of green space, dozens of playgrounds, and outdoor sculptures. Housing prices are also significantly lower than in Jerusalem itself.” A city of maybe 25,000 (I’ve read several different numbers), Ma’Aleh Adumim is located about 4 1/2 miles east of Jerusalem. It is surrounded by desert. At night from our friends’ balcony you can see traffic on the road leading to Amman, Jordan. 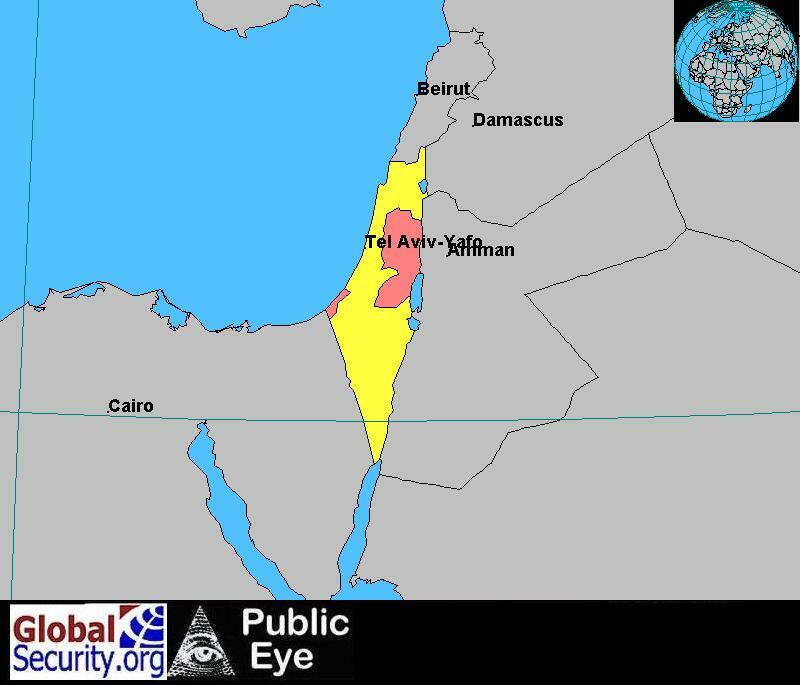 Because it is a “settlement” east of the 1949 Armistice Agreement Green Line, it is also surrounded by controversy. 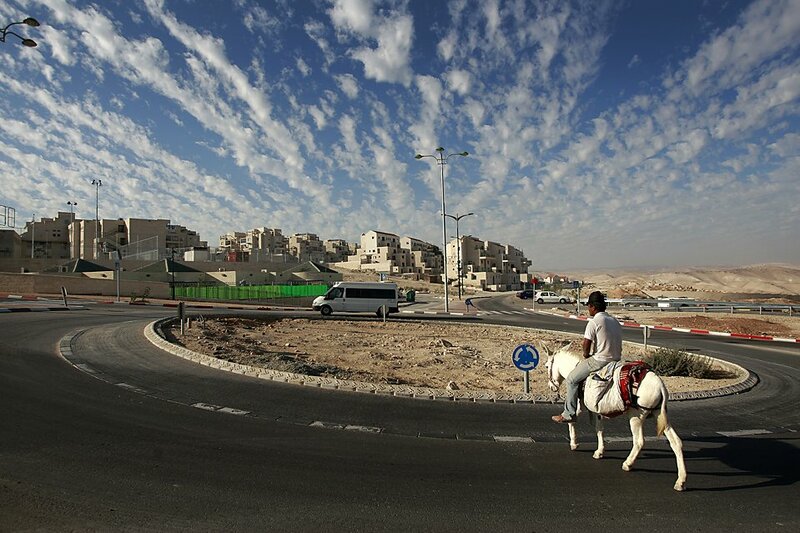 The United States government has recently joined the Palestinian Authority(PA) in urging Israel to voluntarily cede back the West Bank to the PA. Like many other cities in Judea and Samaria, Ma’Aleh Adumim is filled with people, homes, schools, pets, lawn mowers and personal histories. How does one give all that away? How will this displacement (and this topography) promote peace? Here’s an idea. Maybe the US can return Oklahoma City to Native Americans as a test case? The administration could then share its know-how with the Israeli government to help the nation cope with its loss. Given the political and military realities in Israel it’s true that abandoning Oklahoma City would be much simpler and much less dangerous for, say, the citizens of nearby Norman, but it’s not a perfect world. Not everybody agrees with her. Another native Arabic speaker, also in Ulpan, a professional who will soon go to work alongside Jews in Tel Aviv told me that his only wish for the region would be for people to stop killing one another. Which brings me to Jason’s Tomb. Jason was a high priest of Jerusalem while under the rule of Antiochus Epiphanes. His tomb is just one street up and over from our apartment in Rechavia. It’s a roughly 2100 year old burial site built when the Jews were having trouble with the Seleucid Empire, which followed successive cycles during which the Jews had trouble with Egypt, Nineveh, Babylon and Persia, but it preceded the times when the Jews had trouble with Rome, the Ottoman Empire, Czarist Russia, Catholic Spain, Nazi Germany, etc. etc. etc. I’m sure I’ve left one or two important oppressors out. Would it be fair to say that the Jews are a people scattered and peeled… terrible from their beginning hitherto; a nation meted out and trodden under foot…? 2.) They will, in the latter days, be gathered from the ends of the earth back to Israel to eventually live in peace. It’s less than 11 miles from Jason’s tomb to Ma’Aleh Adumim by car but they are separated by two thousand years chronologically. Empires have come and gone since Jason was buried and the desert city built. Despite their constant opposition there is once again a Jewish state upon the earth and we have it on good authority that, eventually, Israel will, as Jeremiah delivered the promise, dwell safely. I’ve been learning so much! Thank you. Seeing the videos make me home sick. It is always great hearing from you guys.We will continue praying for you and always know your on our hearts daily. Cliff your getting better at making these videos. They might be a career in it for you yet. Come see us. Thanks for your prayers. Thanks also for the compliments, but it’s probably too late for me to attend film school. I thought about buying an ice cream truck. Thanks, Gil. We should be back in November.